Minor Scratch and Dent! $400.00 off! Black, Silver, Burgundy. Please call! Limited quantities! 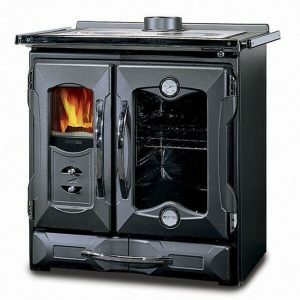 CONCEPT 2 MINI AIR wood cook stove is designed for space heating, cooking and baking. 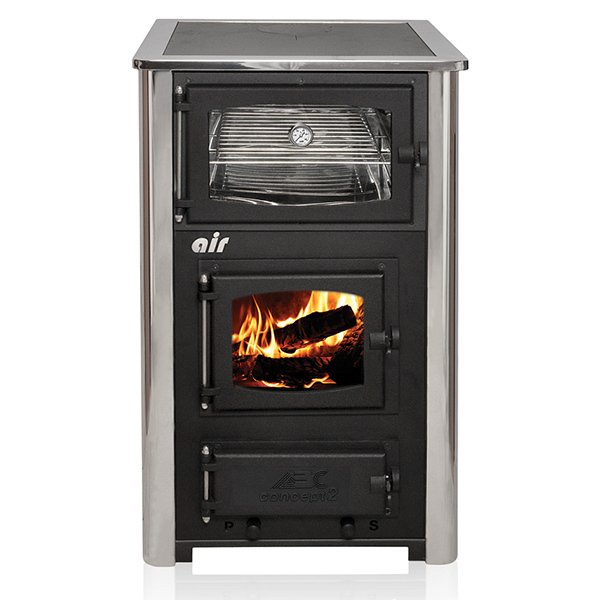 It uses solid fuel: dry wood, coal or briquettes. 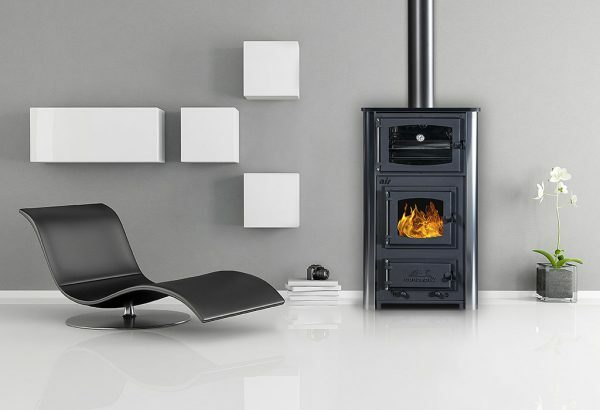 It gives the impression of a fireplace, thanks to the fireproof glass on the firebox door. 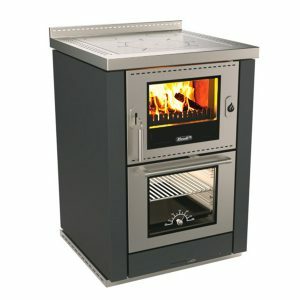 CONCEPT 2 MINI AIR wood cook stove is designed for space heating, cooking and baking. 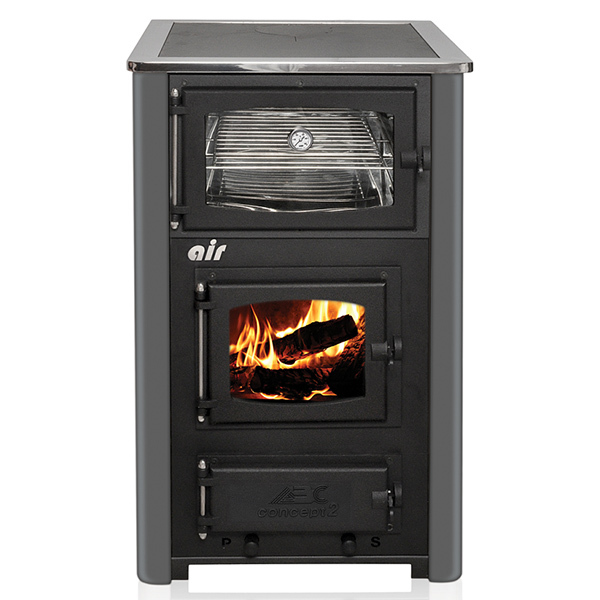 It uses solid fuel: dry wood, coal or briquettes. 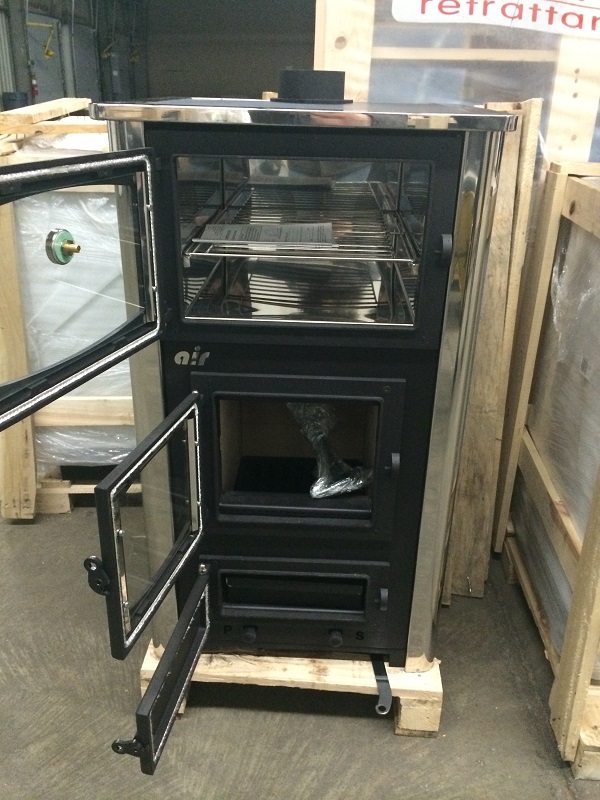 It gives the impression of a fireplace, thanks to the fireproof glass on the firebox door. 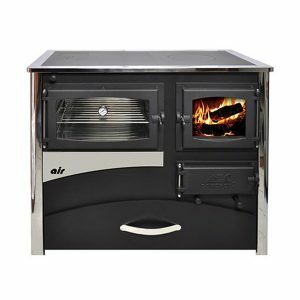 The structure of the CONCEPT 2 MINI AIR cook stove ensures precise temperature setting, easy stoke and cleaning out ashes. Smaller spaces rejoice. 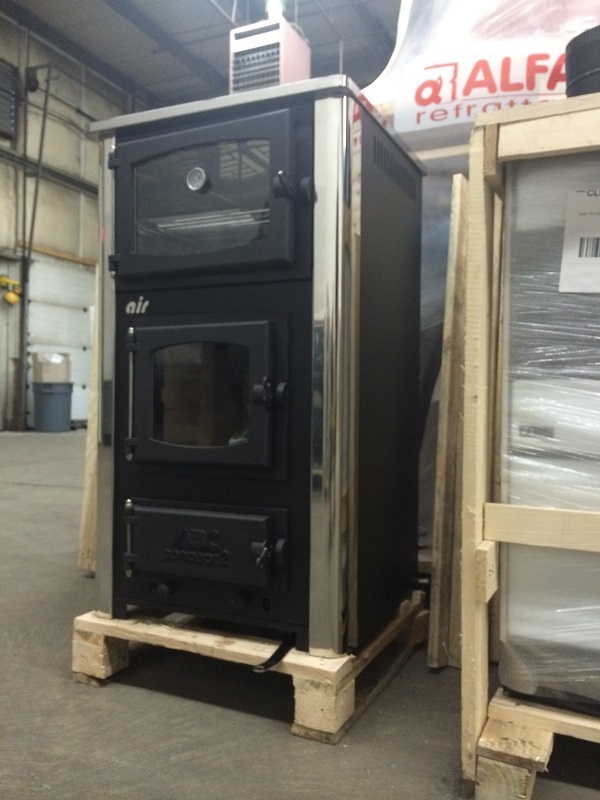 The convenient and highly efficient wood cook stove now available, with price to please. 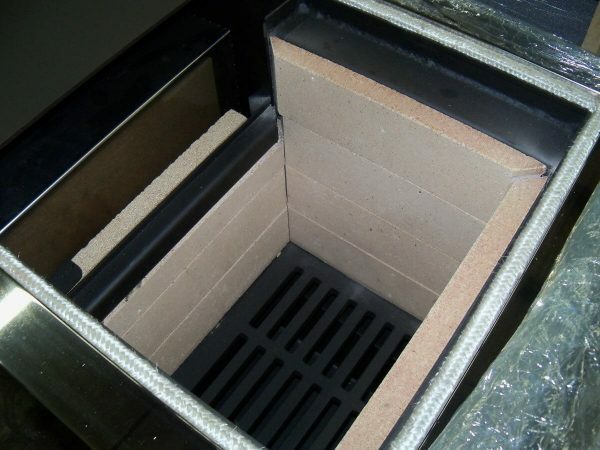 Dual control for primary and secondary air intake, and connection for outside air intake, will provide cleaner and longer burning. 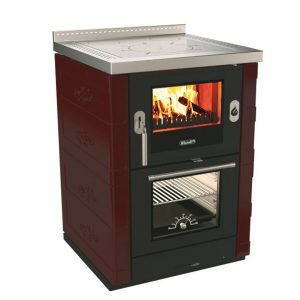 This stove is highly economical, functional and flexible enough to suit any space, design and décor. With ratio 1:2 (volume of the firebox to area of cooktop) this model qualifies as a cook stove by description. Top and rear flue positions. 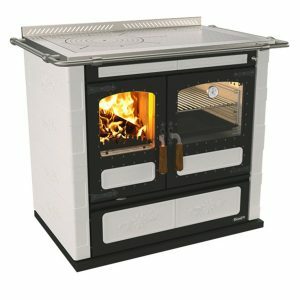 Cook and bake in style, on this model by using wood.